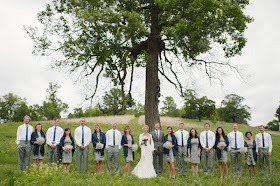 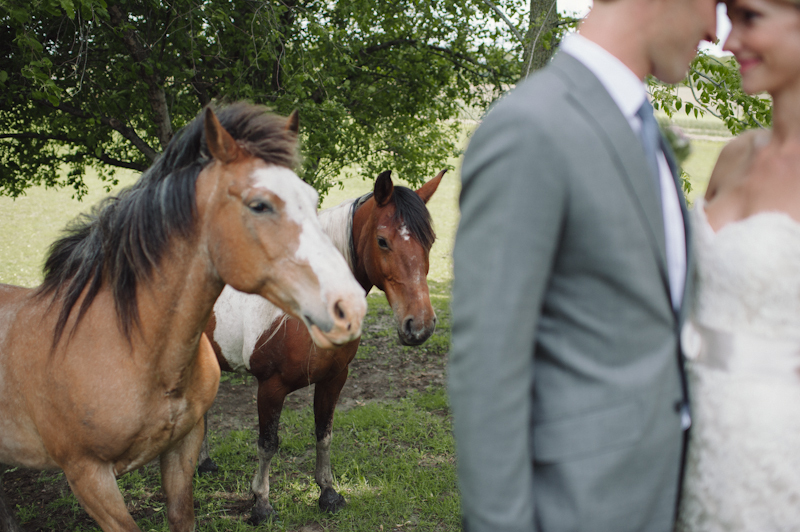 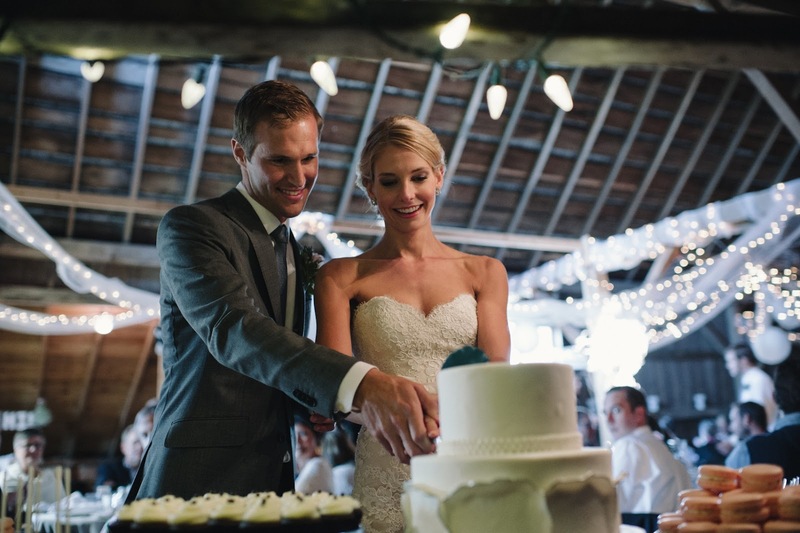 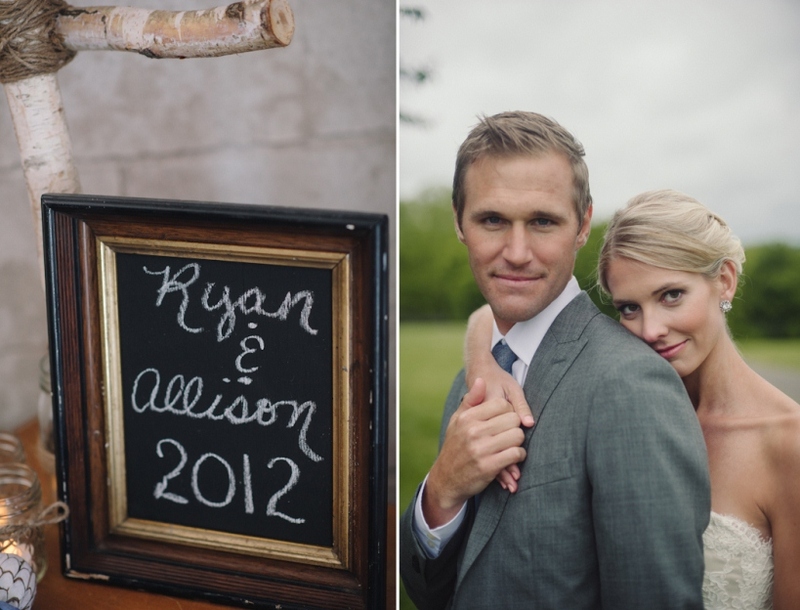 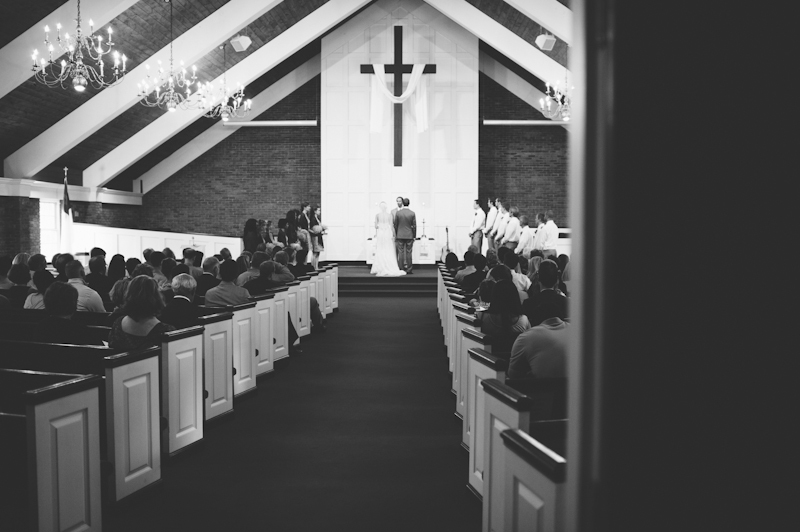 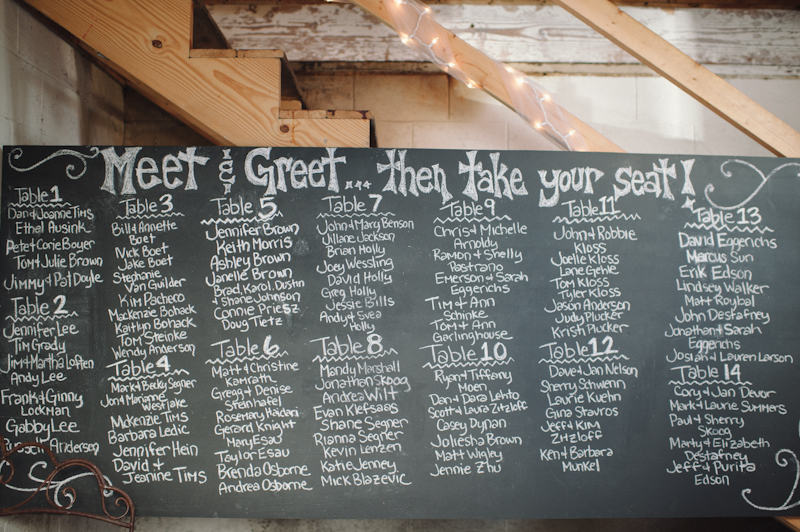 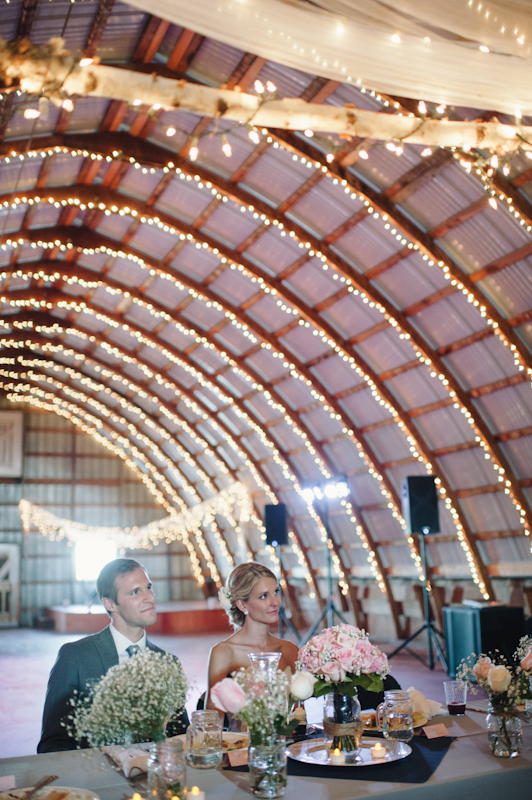 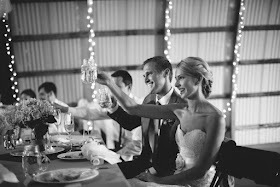 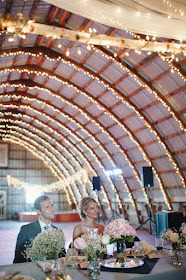 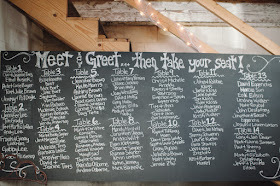 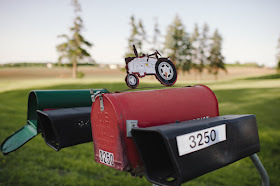 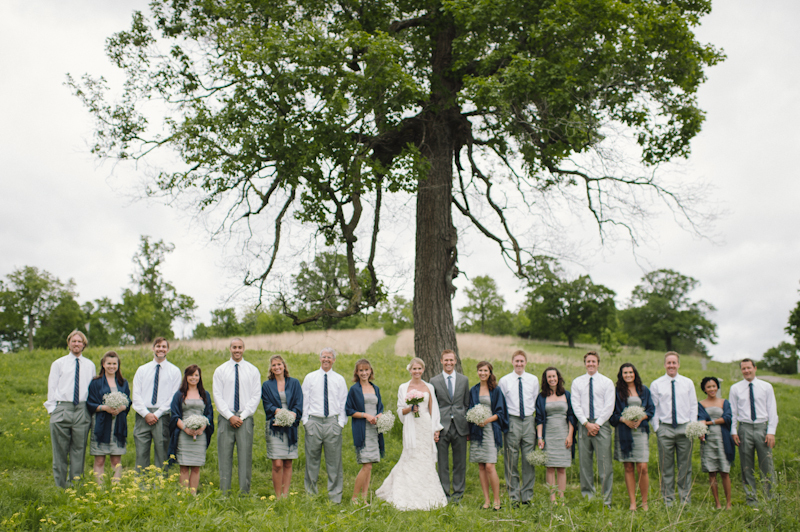 Allison and Ryan's wedding reception took place in a beautiful barn just west of the Twin Cities. 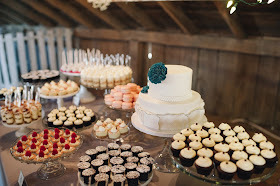 The bride’s sister is actually a baker here so we were thrilled to be part of her family's special day. 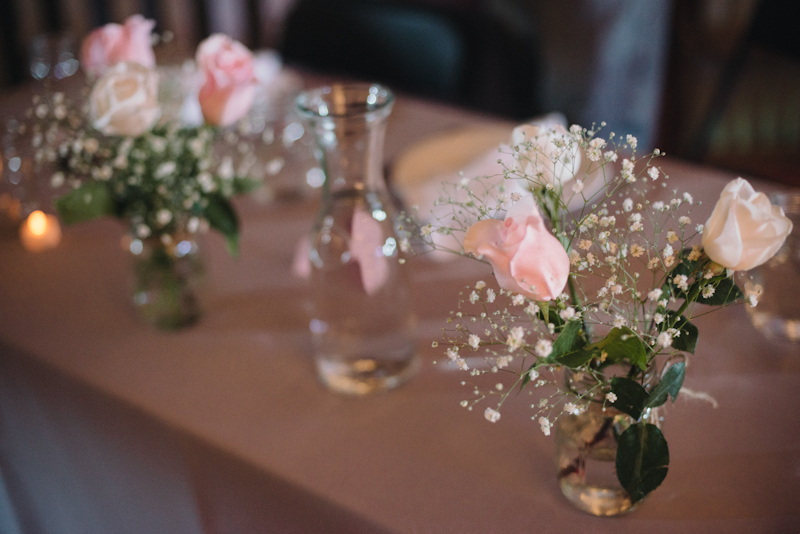 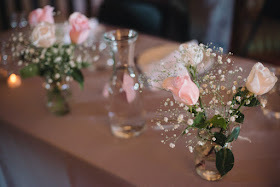 With a theme of "rustic elegance", the lighting, chalkboards, mason jar vases, pink roses and baby's breath florals came together for a gorgeous setting. 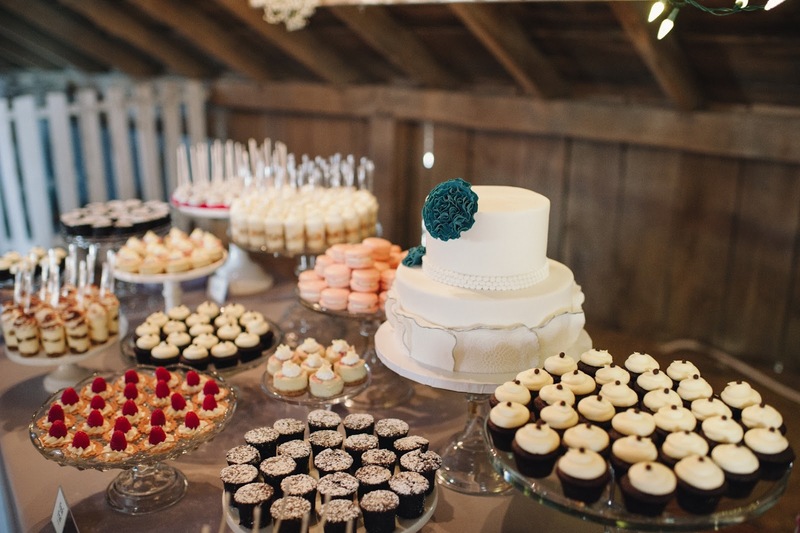 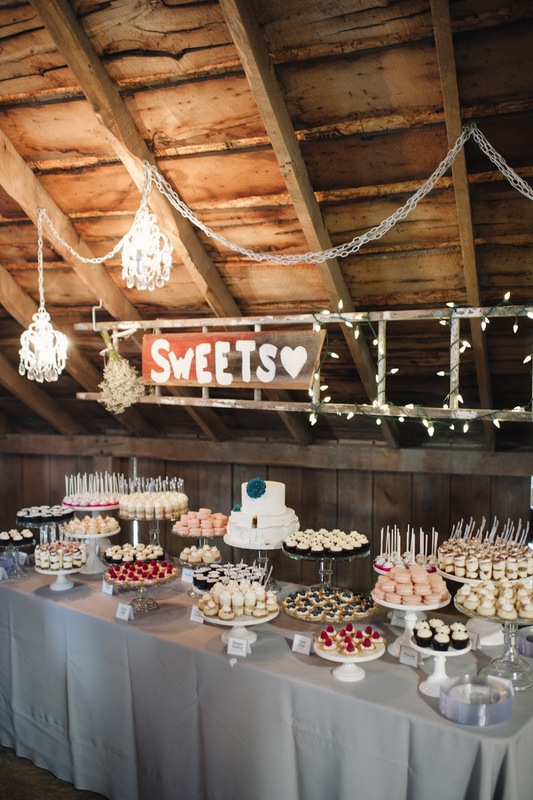 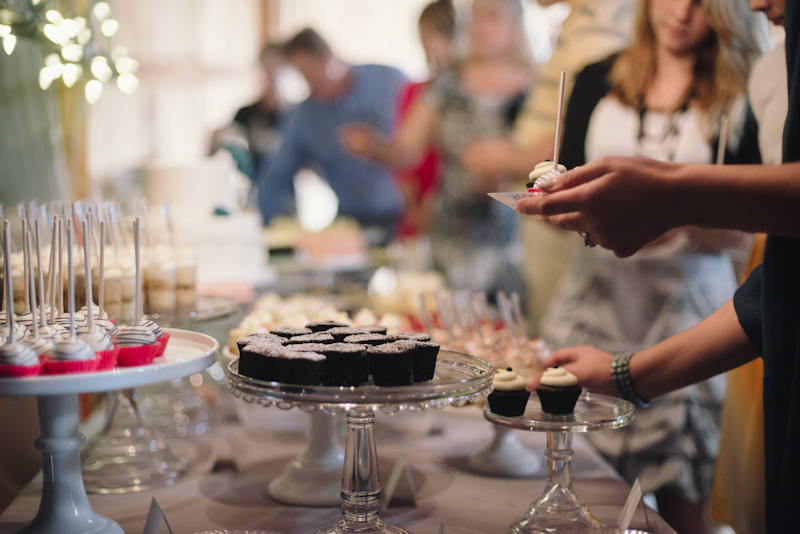 We kept the theme in the mini dessert table by using milk glass and ornate, vintage style crystal cake stands for displaying the sweets. 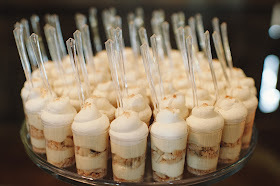 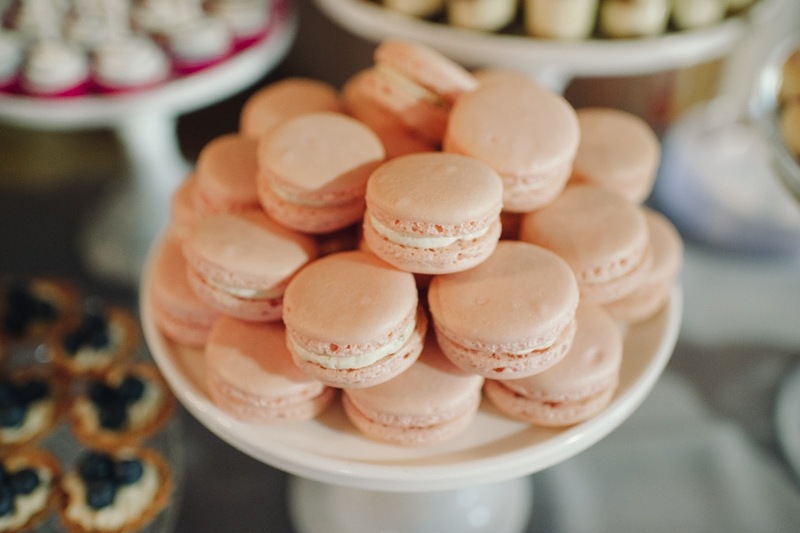 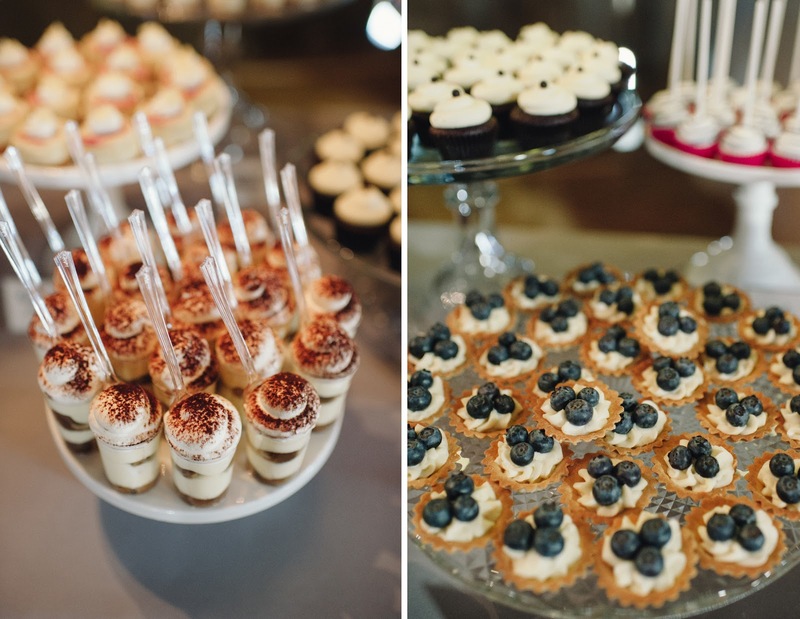 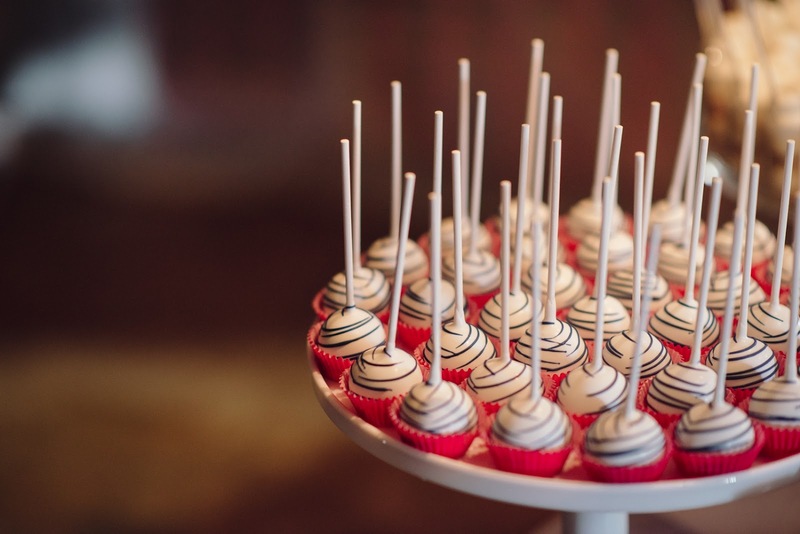 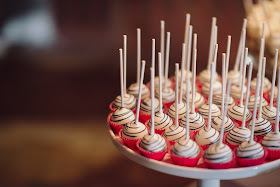 The dessert spread included Fresh Fruit Tartlets, Vanilla Cake Lollipops, Valrhona Chocolate Bouchons, Tiramisu & Banana Pudding Dessert Shooters, Mini Raspberry Swirl Cheesecakes, Mini Black Velvet Cupcakes, and French Macarons. 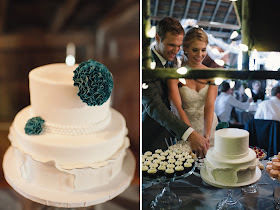 The elegant, 2 tier fondant-covered cake was adorned with sugar flowers, pearls, and lace with silver painted edges. 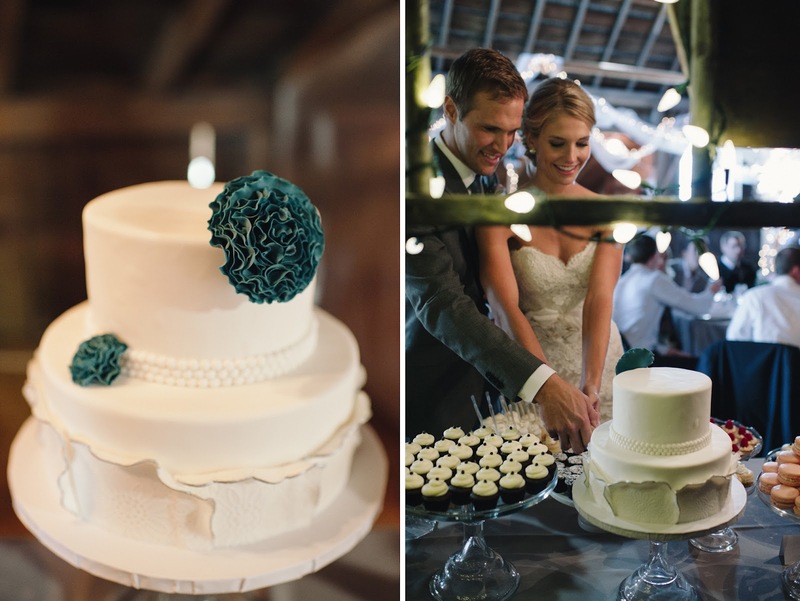 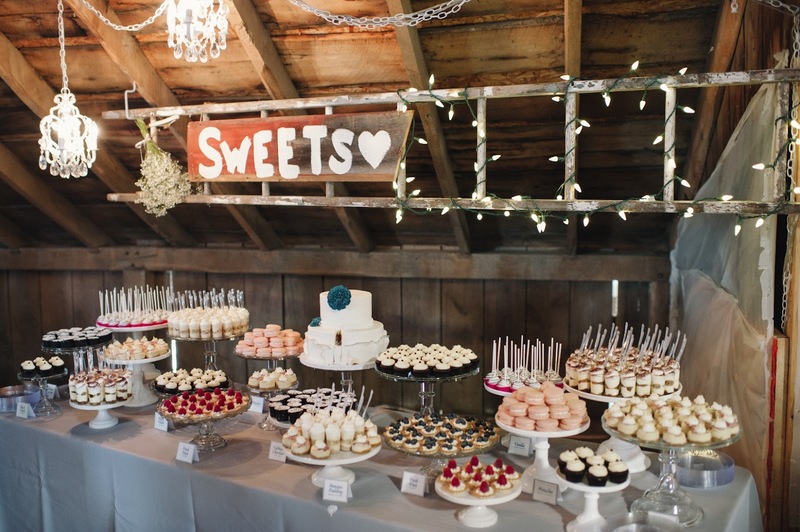 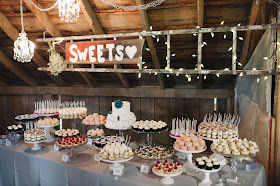 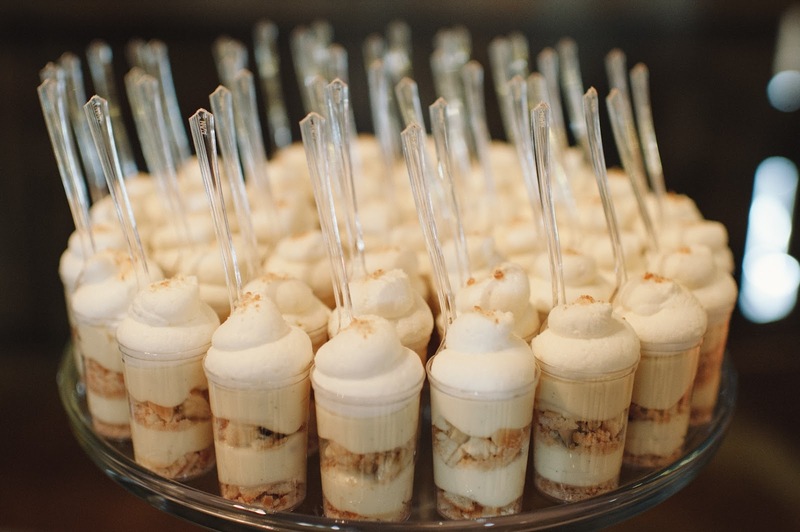 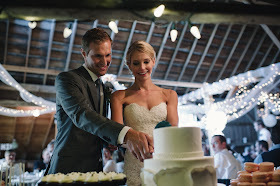 Thank you, Allison and Ryan, for letting us create a beautiful cake and mini dessert table for your wedding day, and thanks to Paper Antler for sharing these wonderful images.